From there things got worse, weirder, and funnier. In a crazy world of injured athletes, autograph-seeking nuns, angry wrestlers, and trainers with a taste for torture, Hayhurst learned lessons about the game--and himself--that were not in any rulebook. Honest, soul?searching, insightful, hilarious, and moving, Dirk Hayhurst's latest memoir is an indisputable baseball classic. 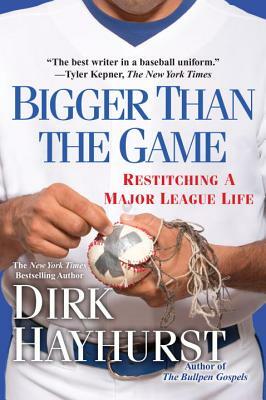 Dirk Hayhurst is the New York Times bestselling author of The Bullpen Gospels, Out of My League, Bigger Than the Game, and the e-book Wild Pitches. Drafted from Kent State University in 2003 as a senior sign, Hayhurst pitched professionally for nine years on more than eight minor league teams and three major league teams—the San Diego Padres, the Toronto Blue Jays, and the Tampa Bay Rays. He has been a professional broadcaster and baseball analyst for the Toronto Blue Jays and Sportsnet Toronto, a contributor for ESPN with the Olbermann Show on ESPN 2, and a panelist on TBS's coverage of the MLB post season. Visit him at www.dirkhayhurst.com.